Embodiment—being fully present in this body—is a bit of a buzzword these days in the spiritual community. It’s been on my mind for a while now, not so much as a concept but as something that I’ve been experiencing for myself and with a lot of the people I work with. What I’m mainly noticing is how people say they want an embodied experience, and yet what they say about their experience points to the opposite. If anything, they often want to “get away” from the physical/bodily experience they are having, as opposed to meeting whatever is actually happening. I’ve decided to write about it, not because I’ve figured embodiment out, but because I too experience resistance to embodiment, and it wasn’t that long ago that I didn’t want it at all. For a long time my silent or not-so-silent prayer was, I want to be here—in the “now.” Yeah, not too original, but that’s what I really wanted—to be fully in the present. This was before I’d heard the term embodiment, but looking back this is what I was praying for. I thought I was doing pretty well, actually. In fact, I thought that I was mostly “there.” And I continued to hold onto this mantra, to keep me on track. Here’s the funny part: hidden within my prayer, was the belief that if I was fully in the present, I’d always be happy and peaceful. That was what I really was after, unconsciously. I didn’t want to literally be “here and now” at all, I realized, as my prayers were starting to be answered, when I started to step more fully into the present state of this human body. Oh, this is now? Ummmm, no thanks. I much preferred that other state of being. You know the “oneness” where things are easy and simple and, well, blissfully boring. Yeah, I admit it; I’d bought the bill of goods that was selling presence as a blissed-out state of being. Otherwise known as that “permanent place” spiritual teachers wrote and talked about, people were paying lots of money hoping to learn how to finally get there, and stay there. The tenets of this state included: forgetting about the body, setting aside preferences and distinctions, and dissociating from the full variety of emotions. Basically, denying being human. Instead, connecting with “oneness” was chased, at any expense—monetarily, physically and emotionally. 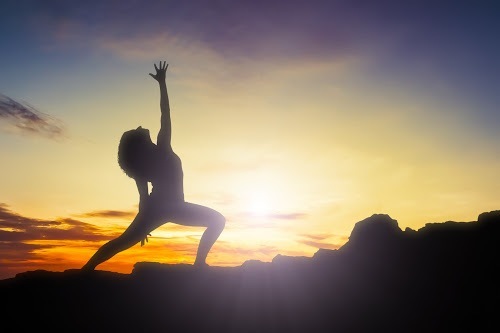 As I started to connect with my body, as embodiment started to happen, I slowly started to realize how much I had bypassed aspects of myself in order to try to maintain the “perpetual experience of oneness” that spirituality often pointed to. As I worked with people who were experiencing addiction issues as well as deep trauma, I started to realize that spiritual seeking was a huge addiction in and of itself, as well as something that was reinforcing somatic trauma. I was working with people who were denying aspects of what it means to be human, and I realized that I’d been doing the same. In denying aspects of my humanity, I was keeping aspects of myself in the dark—in the shadows. Those aspects were powerfully influential, they were out of my attention, and unconsciously dictating many beliefs and behaviors. An interesting thing started to happen when I started to shine the light on those beliefs and thoughts: lots of other shadows started to pop up. Acknowledging these shadows was not always pleasant, but then something else started to happen: those shadows lost their power. Bringing aspects of myself into the light that I’d never wanted to see, allowed them to be seen, and then released. The more that happened, the more embodiment happened, and the less scary it was. In fact, it became empowering. And as I worked with clients, I was noticing the same experiences with them. Behaviors and stories that had once been laden with shame and guilt were being gently pulled apart, and in the wake was compassion, forgiveness and spaciousness. Being an embodied human isn’t what I thought it was, that’s for sure, but I’m immensely grateful for what it’s brought me. I still find that it’s pretty hard to talk about what embodiment is, beyond saying it is being in this body, fully, in the present. And maybe that’s why it is so easily misunderstood, and why there is so much spiritual seeking going on. Over all, it’s much easier to say what it’s not. 1. It’s not a state of permanence. This is really important because I come across people all the time, including myself, who seem to think there is one abiding state of being. That belief inherently has an immense amount of suffering as part of it. 2. Embodiment is not a state that can be achieved. This is basically reiterating my first point, but that’s how important and how deep these beliefs go, so I’m saying it another way. Embodiment isn’t fixed. It’s not static. It’s not something that is accomplished, once and for all. For spiritual seekers, this one can keep seekers entangled forever. 3. It’s not a state of being. Embodiment doesn’t have one flavor—it’s not a state of “being happy” or “being at peace” or “being surrendered.” It’s ever changing. There is no right way to be a human being. The possibilities are vast and “oneness” contains all of them. 4. Embodiment is not about feeling a particular way or acting in a certain way. Continue to think outside the box. I have had people tell me that I’m not spiritual because I get angry, or use certain kinds of vulgar language at times. You can spot spiritual seekers (looking for a quick fix from current suffering) a mile away when typical aspects of being a human being are considered bad—anger, sexuality, eating habits, dress, and so on are easy targets used to “measure” spirituality. 5. It’s not identifying yourself as a body or focusing only on the body. 6. Embodiment is not identifying yourself as not a body or avoiding the body. 7. It’s not easy. Almost every aspect of our society teaches us that being here is avoidable, and that our lives will be a lot more enjoyable if we do whatever it takes to avoid our actual experience. 8. Embodiment is not as bad as you think. A little bit of inquiry can go a long way. Send me an email if you’d like to learn more. 9. It’s not easy to talk about. It’s like throwing rocks at the pink elephant in the middle of the room, which keeps disappearing only to reappear when you’re least expecting it, now as a pink hermit crab. 10. It’s never “done.” If you come across anyone, including a teacher or a therapist, who tells you that they’ve “been there and done that”, smile big and keep on walking. I’ve wanted to do a top 10 list about what embodiment is not for a long time. I think most of my ideas came to me while running, only to vanish once back home. So this is what you get. You know what would be fun? For you to list some of your own observations about what embodiment is not and feel free to leave them in the comment section. It's not transmittable. No one's going to give it to you no matter how much energy they seem to be exuding. 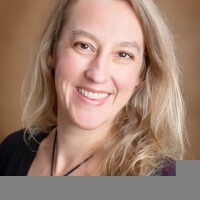 Lisa Meuser works as Somatic Therapist, a Senior Living Inquiries Facilitator and is a full time student of being fully human. Connecting with people, being in nature, consuming yummy food and being engaging in life in other miscellaneous ways are a few of her passions.